So, How’s YOUR Novel Coming Along? 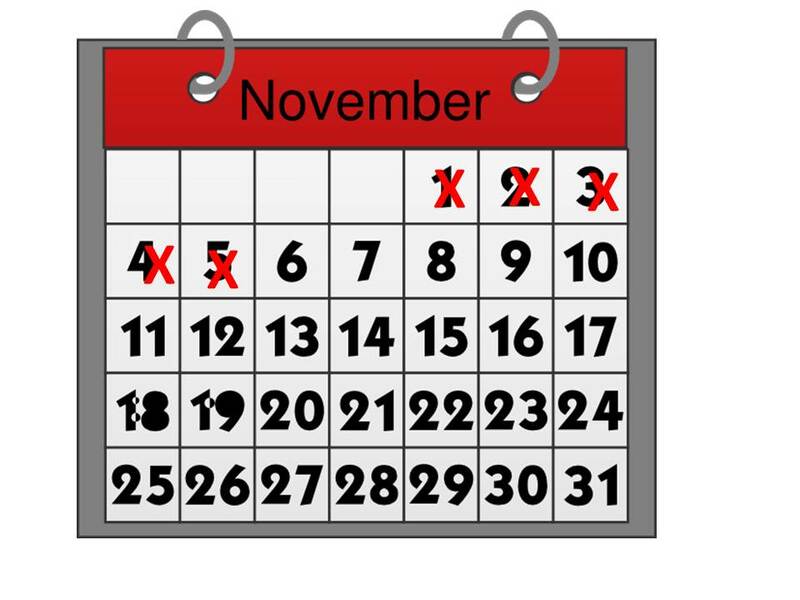 Yes, we’re already 5 days into NaNoWriMo, that is, November’s National Novel Writing Month. This means that we only have twenty-five days left to write 50,000 words, that is, if we haven’t already put our noses to the grindstone, or more specifically, to the keyboard. NaNoWriMo issues a challenge to write 50,000 words from the beginning to the end of November. There are write-ins across the nation where future bestselling authors are gathered, hunched over their electronic devices, pecking away, each creating that coveted magnum opus that is sure to seal a deal. Whether writers are grouped or individual, the NaNoWriMo website provides an online community of support and motivation. The idea is to get the 50,000 words written. No procrastinating, no excuses, no kidding, period. The stated goal is first draft completion, not perfection. Editing and revision take place later on, during some other thirty day marathon. 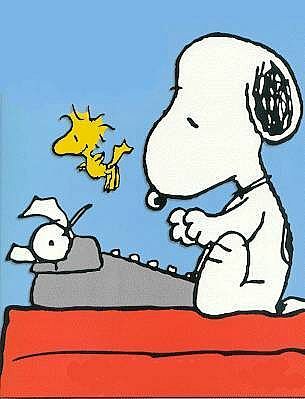 I’ve noticed that some writers pooh-pooh NaNoWriMo. Maybe they’re purists, or realists? Others say it’s just the right catalyst they need to get their ideas from gray matter to finger tips. If NaNoWriMo motivates folks to follow their dreams, so be it. I think writing leads us to discover our creativity and yields a sense of accomplishment, whether or not our coffee-stained, dog-eared manuscripts find their way to a bookstore shelf. Writing for the pleasure it brings. What do you think? I’d love to read your comments. I know I couldn’t write 50,000 words of quality work with unforgettable characters in just 30 days. Hats off to anyone who has done this. You are a better write r than I am. My own novel, coming along on the SS Slow Boat from China, has lived about 2600 – 3000 days, and is still a work in progress. 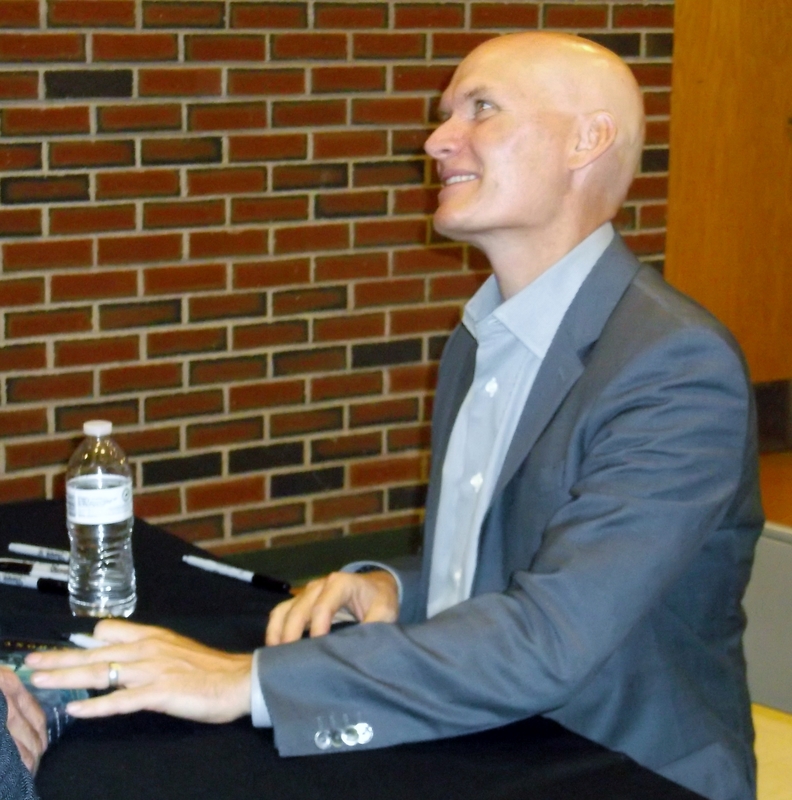 Speaking of writing novels, and sorry about this lame segue, I recently had the pleasure of attending a presentation by Pulitzer Prize winning author Anthony Doerr, thanks to the Clifton Park-Halfmoon Library. 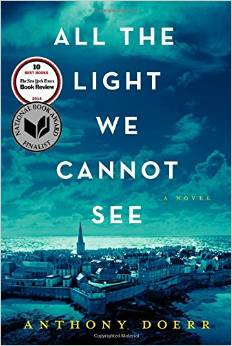 Doerr’s book, ALL THE LIGHT WE CANNOT SEE, has been on the New York Times bestseller list for 77 weeks, to date. If you haven’t read the book, I won’t spoil it. I will give the basics, however. This story takes place in France during World War II, with a blind French girl, and a German boy with a genius for radio waves (which exist, but which we cannot see). Doerr explained his writing process for this novel, and rather than thirty days, this one took a decade. (Ten years! Be still my heart, there might be hope for me yet.) He described his writing as putting together pieces of a large puzzle, beginning with his time spent in France garnering ideas, imagery, story line, and characters, and his research in period history as well as the nature and physics of light. His book is written from two main points of view, and his chapters switch between the two main characters, and then alternate in time, non-sequentially from before, during, and after the war. Many of the 187 chapters are short, some just a single page. Doerr said he did not write the chapters in the order that a reader would read them. For instance, he worked on the ending long before he wrote the middle chapters. Sometimes he worked longer on the German boy’s sections, and then on the blind girl’s story, following wherever the muse took him. 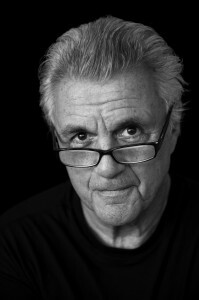 John Irving has an interesting writing process. He’s currently on tour with his latest novel, AVENUE OF MYSTERIES. I caught his recent interview on the Tonight Show with Stephen Colbert. Click on the camera to watch Irving explain his writing process. To watch Irving having fun reading a bedtime story in a skit with Colbert, click on the chicken. Full disclosure: this video might make you laugh. It seems remarkable to me that Irving hand writes all his novels. He explained that handwriting allows time for fewer mistakes, in a pace that he believes is right for him. Going slowly, he takes a long time to develop characters with whom one can sympathize. Irving told Shaul Schwarz of Writers Write that he not only writes in longhand, but he uses both sides of the paper. He added that when he was writing THE CIDER HOUSE RULES he came to the realization that he writes best when starting with the ending of the story. Irving said this technique “never lets him down.” He writes the last sentence of a story, and then “writes toward that sentence.” Fascinating, but it boggles my linear mind. So, I’ll ask again, how’s your novel coming along? No interest in writing? That’s ok too. Certainly, writers need readers, in fact we love them. What would we do without them? Whether writers are pounding out 50,000 words in thirty days, or taking more time, as described by John Irving and Anthony Doerr, the point is, just go ahead and do it. It’s your story, from your heart, you’re the boss of it, and no one can tell you it’s wrong. As my dear friend Peggy says, quoting Wayne Dwyer, “Don’t die with your music still inside you…” If you have a story to tell, find your voice, take as long as you want, and enjoy sharing it in your own good time. I’d love to read it. Categories: Uncategorized, Writing | Tags: Anthony Doerr, author, John Irving, National Novel Writing Month, novels, Writer's Digest, writers | Permalink. SLOW AND STEADY WINS THE…BOOK DEAL? How long does it take to write a book, including revisions? “What? You wrote a novel in one year? 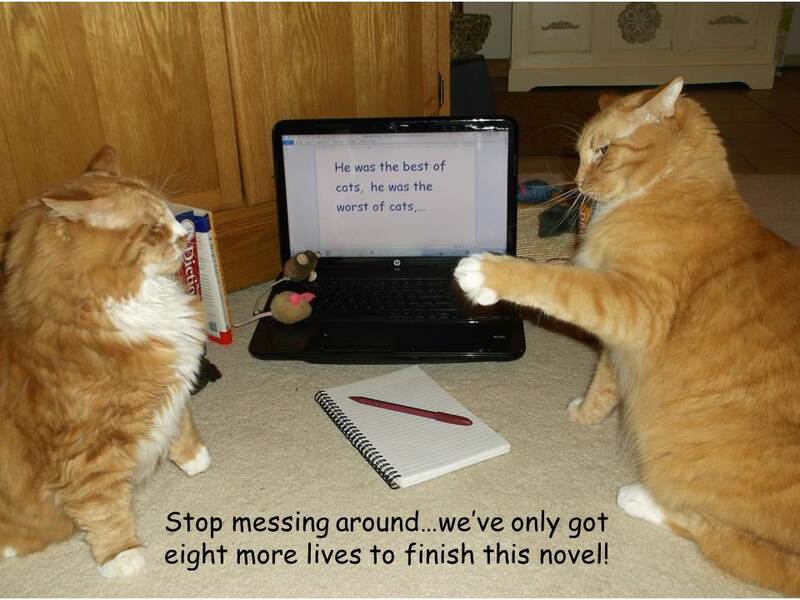 That’s crazy, it takes years to write a novel.” This was a friend’s response when I gave her the news. At the time, I thought she was really off base. Years? What was she thinking? But here we are, a century later, and I’m still revising, rewriting, and rethinking my manuscript. Well, it hasn’t been exactly a century, but it feels like it. It’s a little less than that—let’s make that seven years later. So I’m the unwitting proof of my friend’s hypothesis. Writing my novel has been a slow and steady labor of love. It must be the longest labor ever experienced by any woman who ever roamed this planet. I’m hoping for the day when this baby is finished gestating! Fellow WRITERS, how about you? How long have you been working on the same project? If you’ve completed your book and its revisions, how long did it take? Fellow READERS, when you’re deep into a great read, do you ever wonder how long it took the author to write that book? Online and in magazines for writers, I’ve seen trillions of articles, businesses, books, and other opportunities that practically guarantee writing success in its many forms. I started a search to find the remedy to my snail’s pace and lack of progress in snagging an agent. Reading the titles, I became rapturously encouraged and giddy with hope that I had found my manuscript’s deliverance. Yes, with these resources and a few months of installment payments, I could be published! No doubt. 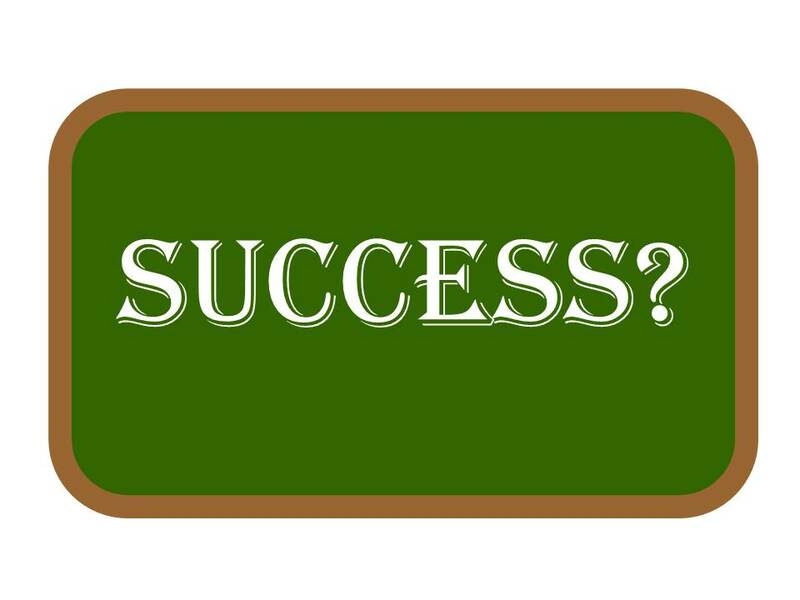 Can you say: SUCCESS? I’d like to share my findings with you, but to protect the innocent, I’m only offering titles in these lists. (You’re welcome to Google, too. 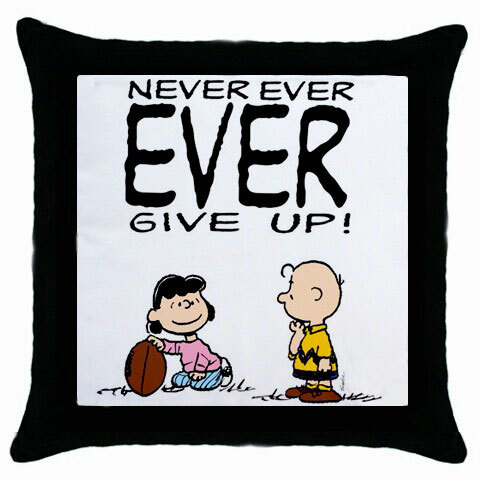 Remember, “God helps those who help themselves.”) I’ll also share my comments and questions, FYI. Have fun! Well, I’ll be…did I waste eight years of writing? Dang. 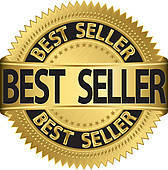 I get it now— successful books take longer to write than best sellers. 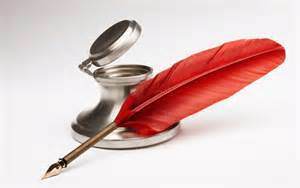 The Secret To Writing A Bestselling Novel ~ Tell me! Tell me! Are they really SECRETS if they’re all over the internet? How To Add Tension In Your Scenes ~ Eh, I’ve got plenty of tension already. Top Ten Errors Writers Make That Editors Hate ~ Yeah, but if writers didn’t make errors, would editors still have jobs? 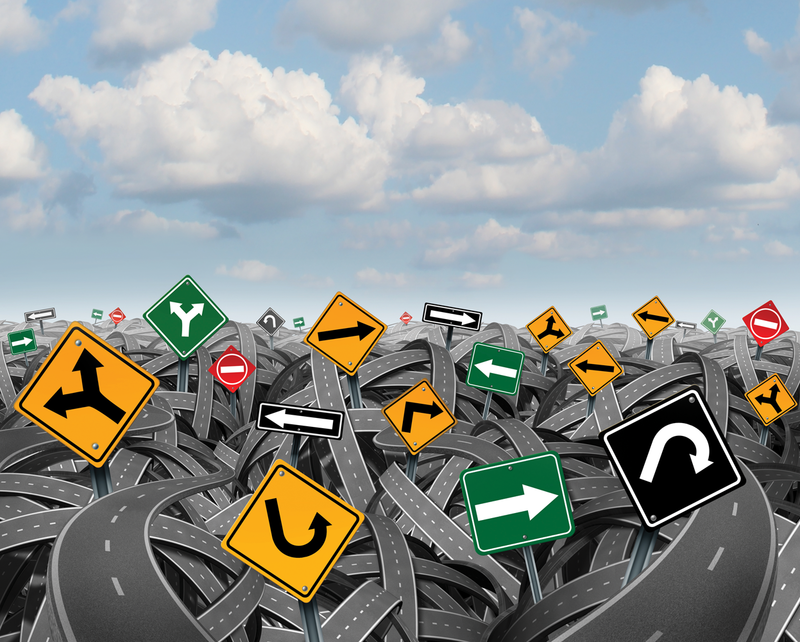 How about eight things first-time novelists need to DO? Huh? But I don’t want to KILL an agent! Learn How To Write And Publish Your Memoir In 10 Painless Steps! ~ Ibuprofen? How To Get Your Book Published In Six Painful Steps — Ouch. How To Get Your Book Published – For Dummies ~Yada yada, I want to know how THIS dummy gets published! 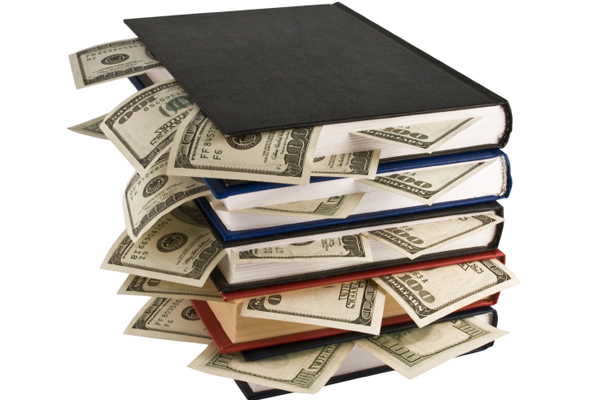 Get Paid For Your Writing ~ Ya think? Write For Publication! ~ Duh, what else would I do with it? 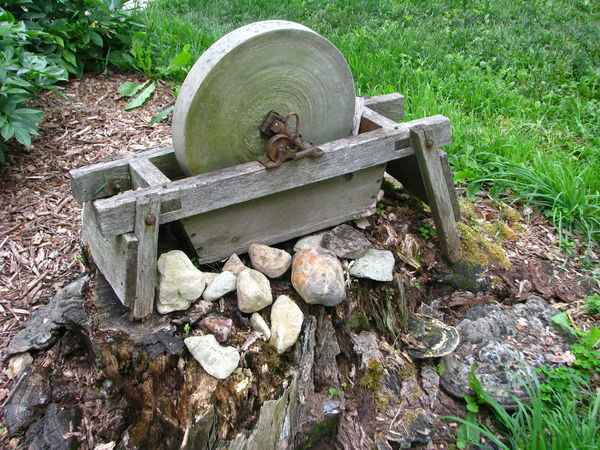 Stock the OUTHOUSE? How To Be A Ghostwriter ~ Do I have to be dead to be a ghostwriter? 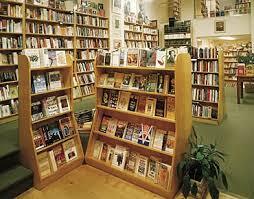 Categories: Publishing, Writing | Tags: author, fiction writers, fiction writing, publishing | Permalink. Does Oops! Have a Plural? The writers’ conference was great, and I’ll have takeaways for you in my next post. But first I want to share my Genre Dinner experience. It was a new event this year, on the Friday evening before Saturday’s conference. What a wonderful idea, dining with other attendees who also write in my genre. There were two snags, however, and they’re kind of funny, at least now. They were definitely not funny at the time. Part Two. Oh yes, there’s more. When I finally arrived at the hotel, about two weeks late for dinner, I learned that there were two dinners going on: one for writer-attendees like me, and the other, for faculty, including agents, editors, well-published authors, and let’s just say, some big names in publishing. I found the dining room, but the tables weren’t marked by genre. I figured the writers must have grouped themselves in some other way. I spotted an empty place at a table and thought, what the heck, I could fit in with romance or sci-fi writers, or whatever they turned out to be. After my hour-long expedition of circling the county map with my blood pressure ready to blow its fuse, some gory werewolf talk would be relaxing. I laid claim to the open seat and found my way to the buffet to scavenge through the leftovers. The conversation at the table was wonderful! These were some truly erudite people, and a bit over my head some of the time. Okay, most of the time. In speaking with the man seated next to me, I asked if he was published yet. That’s why writers go to these conferences, to relocate their manuscripts to a publisher’s desk. So I thought it was a fair question, until I coaxed the answer out of this nice, unpretentious man, who had published six novels and teaches writing courses. Oops. I focused intently on buttering my roll, thinking that something didn’t feel right. 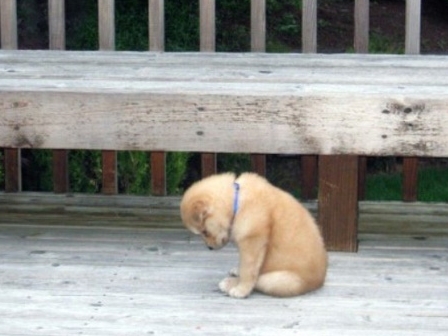 Then someone from across the table asked me which workshop I was going to present on the next day. Oops again. Wrong table? It gets better. After dessert and coffee, and an organizer’s speech with instructions to the faculty, I hit me. I wasn’t at the wrong table. I was in the wrong room. I sat for that dinner with three well-published authors and one very accomplished editor. I thoroughly enjoyed their conversation, and their company. They were most casual and gracious and understanding when I explained that the only thing I would present the next day was me! I think I even got a chuckle out of them. 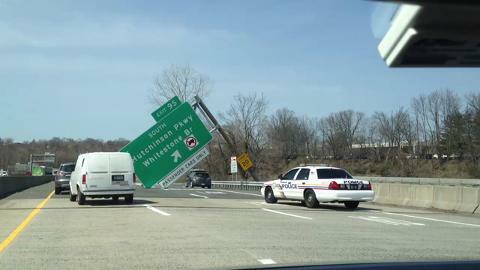 Westchester County really is a beautiful area, and I’m sure that if required, I could learn to drive there and like it. The local folks I met there were friendly and helpful, and made my visit a pleasant one. So after all this kicking and screaming all the way into the techno age, I will finally relent and give up the ghost, er, I mean—that last bastion of navigation independence—my MAPS. I’ll activate my GPS app. Yup, I’m giving up my maps for apps. I WAS NOT RESPONSIBLE FOR THIS! Please watch for my Unicorn Writers’ Conference takeaways in the next post. Categories: Uncategorized | Tags: author, fiction writers, publishing, The Unicorn Writers' Conference, writers' workshops | Permalink. It’s a little lonely here at the Writers’ Loop without Peggy! Readers, please let me know if you’re still out there. I’m gearing up for the Unicorn Writers’ Conference next weekend (You can check it out by following the UpComing Events link on the sidebar.). On Friday, I’ll attend a Genre Dinner, my very first. Apparently, it’s a working dinner and a great time to network with writers in my genre. I’m looking forward to the experience and meeting new contacts. But here’s the catch: my novel crosses and blends so many genre boundaries that it doesn’t fit neatly or even sloppily, into just one category. This prompts me to wonder which genres are most appealing to the readers of this blog. So, you can help me, if you will, by letting me know which, if any, of these fiction categories appeal to you: Women’s Commercial, Coming-of-Age (Adult), Nostalgic, Magical Realism, Pop Culture, or Humor. Would you mosey toward any of these shelves in your library or favorite bookstore? Where would you linger? Which genre might you pluck from the rack, snoop through, and/or peruse its dust jacket or back cover? Any chance that you’d want to read the whole book, or…purchase it? My next research survey is pretty straightforward, but it comes with a disclaimer: I will not be held responsible for food cravings or excessive salivation in the analogy that follows. Now, my question. When one calls up Pizza Lean-to and orders an extra large ( guessing that one has the munchies for pizza) it’s usually custom made just for you. You can get almost any topping that your little heart, or tummy desires, even anchovies. And what about fiction? 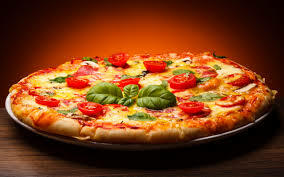 If you could call up, oh, let’s say, Harper Collins Publishers, and order a novel written just for you, what toppings, what ingredients would you want? Which elements of fiction would your novel have: mystery, humor, history, romance, fantasy, sci-fi, crime, western, _________? (That last one’s a special-order-fill-in-the-blank, just for you.) Would you order another werewolf, more shades of erotica, or maybe a novel that warms your heart, lifts your spirits and makes you smile? Just wondering. Please let me know. And sorry, no; I’m not taking any pizza orders at this time. You might want to try Pizza Lean-to. I hope you’ll post a comment and let me know your opinion. I’ll be so grateful. Thanks in advance! Categories: fiction, genre | Tags: author, Fiction, genre, The Unicorn Writers' Conference, writers | Permalink. 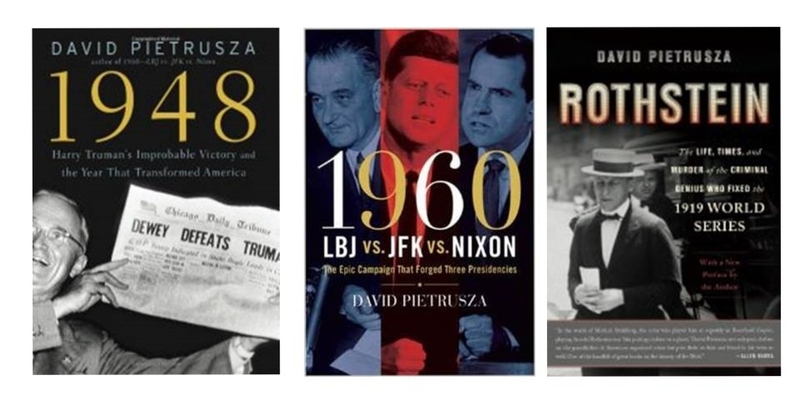 On March 18, 2015, I attended a gathering of readers, writers, and history buffs for a two-part presentation by local best-selling author and historian David Pietrusza, held at the Clifton Park-Halfmoon Library. The Town of Clifton Park and the Community Arts and Culture Commission sponsored the event. 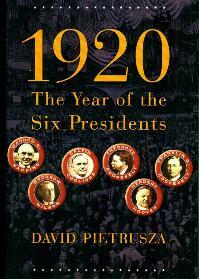 David Pietrusza discussed his book, 1920: The Year of the Six Presidents, which Kirkus Reviews honored as one of its Best Books of 2007. The book chronicles six famous men and their connection to the presidential election of 1920. At that time, past, present, and future presidents jockeyed for the Oval Office: Theodore Roosevelt, Woodrow Wilson, Warren Harding, Calvin Coolidge, Herbert Hoover, and Franklin Roosevelt. Pietrusza told each of their stories, embellished with the social and political climate of the time as if he had been present, knew the candidates personally, and witnessed the drama first hand. 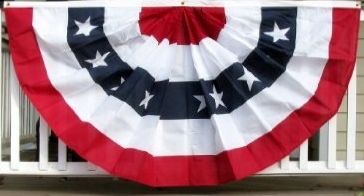 He thoughtfully set the scene and rolled out the events leading up to the election. The incumbent Woodrow Wilson was ill, and having already served two terms, he eventually decided not to run for a third time. Former president and front runner for the 1920 Republican ticket, Theodore Roosevelt, became ill and died in 1919. Franklin Roosevelt ran for vice president on the losing Democratic ticket with James Cox. In the end, Warren Harding was elected the 29th President of the United States, and his running mate Calvin Coolidge became Vice President. But in 1923, Warren Harding died in office, leaving Calvin Coolidge to succeed to the presidency. In the next election, in 1924, Coolidge won the office of president in his own right. The election of 1920 took place just three months after the 19th Amendment granted voting rights to American women. Pietrusza related the events of August 1920, when Tennessee was the last of the thirty-six states needed to ratify the amendment. With a twinkling eye, Pietrusza recounted the eleventh hour action of young Tennessee legislator Harry Burn, who changed his vote—the last and deciding vote for women’s suffrage, at his mother’s urging. The book opens the window even wider on America of 1920, unfolding the changing culture of the day: women casting votes for the first time, the appearance of the Klu Klux Klan, the rising Red Scare, Prohibition, urbanization, automobiles, mass production, chain stores, newsreel coverage, and the transforming of our economy through easy credit. In the second portion of his presentation, Pietrusza discussed “The Writer’s Art.” A recurring message was the relevant and wise advice that many writers do not like to hear: basically, to cut unnecessary words, and then cut some more. He pointed out that researching a topic yields a vast accumulation of knowledge; however, readers may not find each fact quite so fascinating. He asked, “Is every word wonderful?” and related the question to publication costs based on word count. Before concluding, Pietrusza described his experiences of self-publishing, traditional publishing, and screenplay writing, with helpful insights into royalties, advances, right for hire, and copyrights. For more information, follow the link: http://www.davidpietrusza.com/index.html to David Pietrusza’s website. There you can learn more about his critically-acclaimed works such as: 1960: LBJ vs JFK vs Nixon: The Epic Campaign that Forged Three Presidencies; Rothstein: The Life, Times & Murder of the Criminal Genius Who Fixed the 1919 World Series; Judge and Jury, his biography of baseball’s first commissioner, Kenesaw Mountain Landis, and much more. 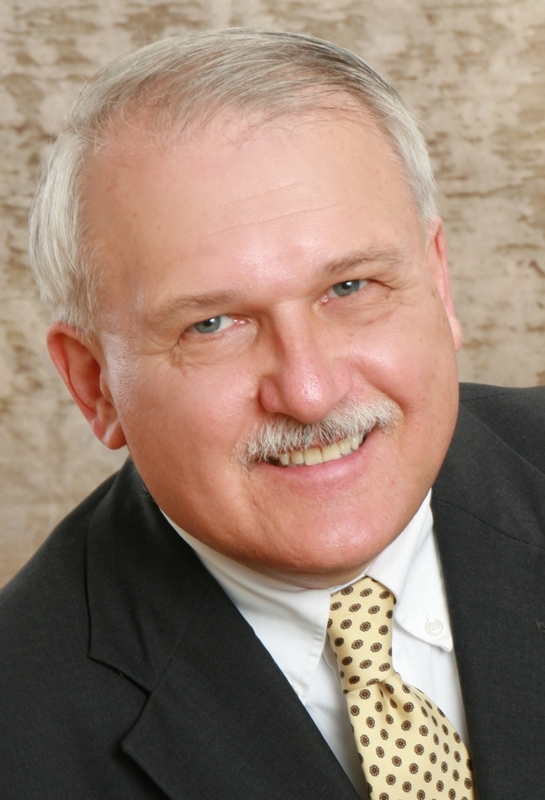 Categories: Nonfiction, Writing | Tags: 19th Amendment, author, Clifton Park Community Arts and Culture Commission, David Pietrusza, nonfiction, publishing, U.S. History, Women's Suffrage, writing | Permalink. It was a cold, wet, sleeting evening outside, but the Neil Hellman Library at The College of Saint Rose was warm and inviting for Dave King’s Frequency North Writers Series presentation. He began by reading of one of his earliest published poems, My Heart Disappears Among the Trees. King then went on to discuss and read two sections of his novel, The Ha Ha. The reading was the culmination of fifteen weeks of King’s visiting writer instruction in CSR’s Master of Fine Arts program. The event was well attended with a sizable audience which included King’s students and English Department faculty members. I found it encouraging when King explained that his master’s thesis was an earlier version of The Ha Ha, which he set aside for two years while he studied and wrote poetry. In Part II of his interview, you can read King’s words on his writing routines, ideas about sequential drafts, and advice to writers. SMP: How long did it take to write The Ha Ha? Did it take longer to write it or revise it? SMP: Do you have a particular writing routine? DK: I have two, concrete and conceptual. The concrete: I turn the internet off each night before going to bed. In the morning, I may read a bit over breakfast, but I try to stay pretty much in my head and not speak to anyone, and I try to get to my desk between 8 and 9. I say an invocation to the muse, naming the qualities I hope to access that day, such as clarity, humor or invention, or simply stating that I want to bring a discerning eye to a particular section. Then I put in my earplugs and get to work. I work until 1 or 2 and try to go back for a less rigorous readthrough later in the day, maybe between 5 and 8. I find that touching base with the manuscript twice in one 24-hour period means it stays active in my subconscious, possibly even while I sleep. The conceptual: I think of it as a good cop/bad cop routine. At the beginning, I try to be endlessly permissive, following every idea and trying to be open to anything that comes to mind. A kidnapping plot? You can do it, Dave! Martians? Good job, buddy! Why not? Well, maybe not that extreme, but you get the idea. Then at some point I print the thing out and move to a different chair and become the bad cop, i.e. the disgruntled reader just looking for any excuse to throw the manuscript down in disgust. Hmmpff! You call this a narrative? Oh, those characters would so not act like that—etc., etc. When I was his student, Michael Cunningham told me that in the first draft of a novel you put in everything you can think of. In the second draft, you take out everything that’s inessential, and in the third you put half that stuff back. I don’t take such an orderly approach, but essentially everything I write is a negotiation and compromise between the good cop and the bad cop. SMP: Are you currently working on another writing project? DK: I have a novel with my agent that has not yet gone out to publishers, and I’m working on a short book which at present I’m thinking of as a pair of novellas. I also have a longer novel in the works—it’s about bohemia and AIDS in the New York of the ’80’s—but that one’s farther down the line. I’d also like to write a nonfiction book about literary transformation—Jean Rhys rewriting Jane Eyre as Wide Sargasso Sea, for example—but so far that book exists only as notes. Each of these books is quite different from the others and from The Ha-Ha. And I’m polishing a screenplay for the film of The Ha-Ha. For years, the property was tied to a range of handsome A-list actors, and a handful of screenplays were written in Hollywood. But the film never got made, and ultimately the rights reverted to me. Not long ago an interesting young director approached me and said he thought he could get it made, so we met, and I liked his ideas, which put priority on some of the book’s dark emotional truths, as opposed to the sunnier cuteness factor. Slowly we’re moving forward, with the idea of possibly shooting the film in this area. I’m hoping he casts a homely guy, but I’m not placing any bets. SMP: What advice would you give to budding novelists like me, who never seem to be finished revising their manuscript? DK: Graham Greene said that the difference between writing a novel and writing a short story is this: a short story you might knock out in a week, a couple of months or a year, but generally when you finish it you’re the person you were when you began. But a novel takes longer, and each time you finish a draft you feel you’re quite a different person. So there’s the urge to go back and rewrite the book as the person you’ve now become, but if you do that you will once again find that you’re a new person once you reach the end. At some point, Greene says, you simply step off the revolving contraption and begin some other work. On the other hand, the one thing I find with students and even colleagues is that they’re not tough enough on their own work. In her book Reading Like a Writer, Francine Prose speaks of putting each word on trial for its life, which I endorse. 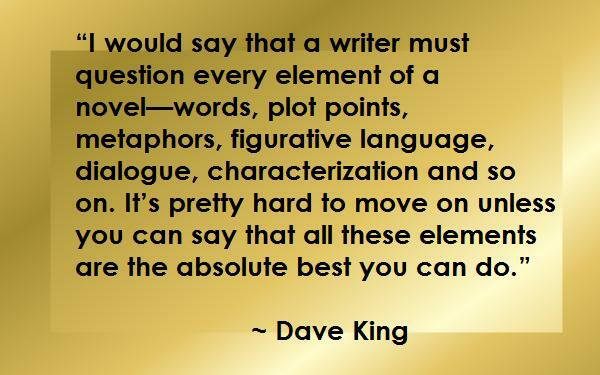 I would say that a writer must question every element of a novel—words, plot points, metaphors, figurative language, dialogue, characterization and so on. It’s pretty hard to move on unless you can say that all these elements are the absolute best you can do. SMP: Is there anything that you would like to add for our readers? DK: No, thanks. I think you’ve been pretty comprehensive. Thanks so much for your interest, and good luck with your book! THANK YOU, DAVE KING FOR YOUR GENEROUS INTERVIEW AND PHOTOS. 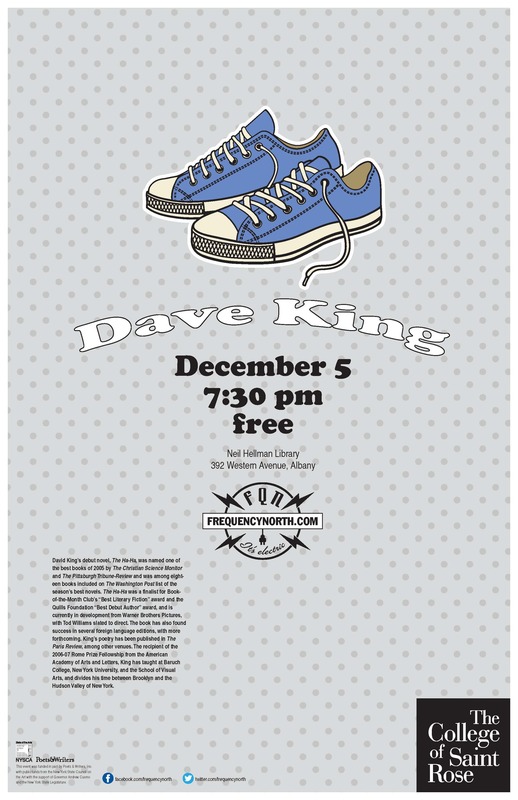 Categories: Uncategorized | Tags: "The Ha Ha", author, Dave King, Frequency North: The Visiting Writers Series, Poetry, The College of Saint Rose, writer, writing | Permalink. 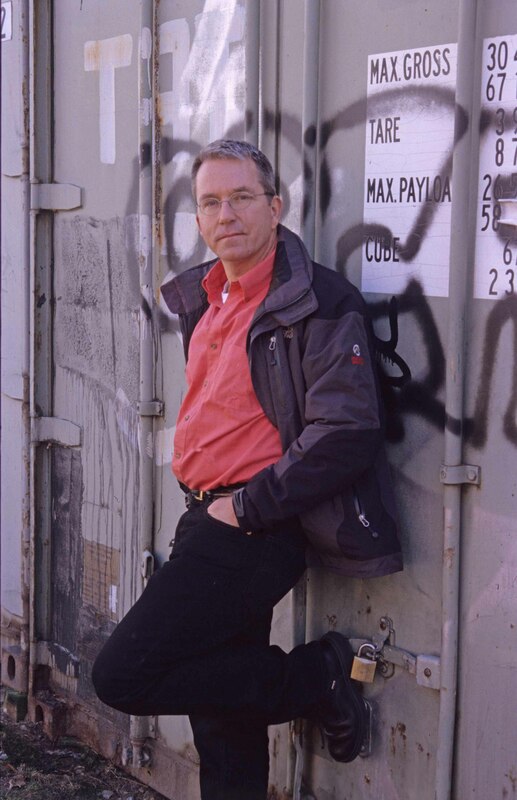 Dave King, author of the debut novel, The Ha Ha, graciously agreed to grant us an interview. You can hear King speak in person on Friday, December 5th, at The College of Saint Rose in Albany, New York. King holds a BFA in painting and film from Cooper Union and an MFA in writing from Columbia University; he taught at Baruch College and the School of Visual Arts in New York before moving to New York University’s Gallatin School of Interdisciplinary Studies. 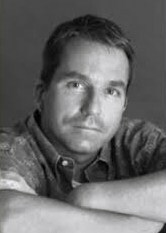 His bestselling debut novel, The Ha Ha was a finalist for Book of the Month Club’s best Literary Fiction Award and the Quill Foundation’s award for Best Debut Fiction and was named one of the best books of 2005 by the Washington Post, the Christian Science Monitor, the Pittsburgh Tribune-Review and Amazon.com. We’re immensely grateful to Dave King for his time and thoughtful responses to our interview. We present Part I here, and will return with Part II and a report of King’s speaking event in our December 7th post. SMP: Your title and cover really capture one’s attention. Why did you choose this title? DK: I first heard of this arcane landscaping feature as an undergraduate painting student at Cooper Union, where I took an elective on the history of architecture. I was at that time making paintings that involved visual puns, and I was struck by both the cleverness and the practicality of the concept, for a ha-ha creates a barrier without any visible wall. Essentially, it’s an optical illusion, an artificial cut in the landscape which, viewed from certain angles, becomes invisible, so that the land appears to roll on without interruption. I suppose the idea stuck in my mind, because the ha-ha’s appearance twenty years later in my manuscript was entirely unplanned; it came to me one day as I was writing about Howard at work, and gradually, as the book developed, it became a leitmotif, this unstable private space through which he recaptures his last moments before becoming disabled. As to why I chose it for the title: in my view, this is not a book thick with symbols, but it does include one major symbol, which is the ha-ha itself. 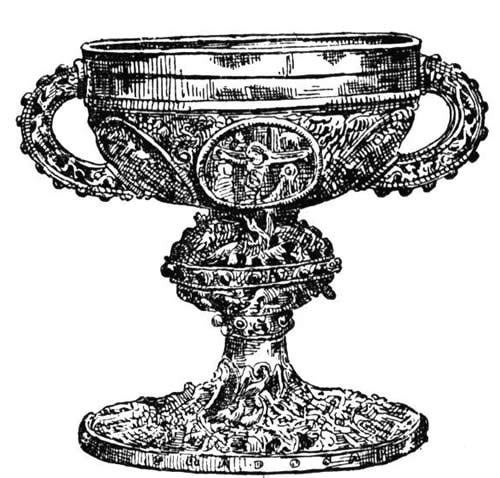 I tend to view symbols as supporting a book’s themes, rather than, say, delineating a specific code which the reader must break into specifics, so the book can certainly be read without reference to the symbolism. But for readers who are interested in symbols, the title’s a little indicator that says, “Look here.” For example, as a landscape element, a ha-ha simply isn’t comprehensible from certain angles. Its complexity is only apparent once you get up close (just like Howard). As a break in the terrain it offers an invitation to think about surface and interiority and the possibility that what you see is less than what you get. These issues are all important to understanding Howard, and as a cut in the landscape, a ha-ha is also a kind of wound. There’s one more reason I like the title. For many readers this is not a known term, so the way they’ll access the title first is as an element of pure sound, perhaps a parallel to Howard’s own occasional vocalizations. In any case, I liked the idea of starting with something mysterious which then is revealed. I didn’t have anything to do with any of the book’s covers, though it’s always fun to see how the designers and marketing teams interpret a book. SMP: Where did you get the idea for this novel and your protagonist Howard Kapostash’s inability to speak for thirty years? DK: Well, the short answer is that I had a brother who was profoundly autistic, so I have a basic interest in disability and how it functions within more normally abled society. That said, I need to head off any assumption that my book is a portrait or memorial to my late brother Hank. (Only my dad was permitted to make that claim, because it gave him comfort.) As most people understand, any acquired injury like Howard’s presents very different emotional and psychological terrain from those conditions one is born with, including autism. Much of Howard’s primary anguish stems from his sense of loss—something my brother, to the best of my knowledge, did not feel. Anyway, perhaps for this reason many of my early stories included variously disabled characters, usually in secondary roles. This was something I didn’t realize myself until a grad school classmate pointed it out, but when she did, it interested me, partly because it was such an unconscious gesture. Then it was quite a natural thing to move the disabled secondary character into the protagonist’s role and see how that felt. The Ha-Ha began as a story about a mute man taking his girlfriend’s child to a boxing match. 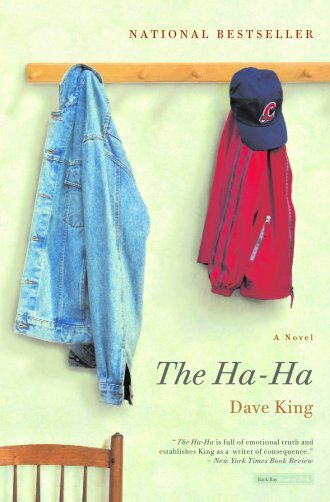 SMP: In reading “The Ha Ha,” several themes resonated for me; the plight of the communicatively impaired, generalized apathy toward wounded warriors, and drug addiction’s impact on family stability and children. Was your intention to raise awareness of these issues? DK: I don’t think of this as a book with an agenda—at least, not in that sense. I’m really not out to preach, and I emphatically do not believe art needs a message to be justified. I very much believe in art for art’s sake and the right of the artist to engage whatever he or she wants to engage. Nevertheless, there were a couple of things I wanted to explore. One: the loss of the American dream as it applied to one guy who grew up with middle-class expectations of happiness and success. As someone who missed Vietnam only through the lucky shut-down of the draft, this is an issue that interests me: not exactly the fate I might have had if I’d been less fortunate, but something like that. Secondly, I wanted to look at the kinds of families we choose to build, situationally and out of love, and how they differ from the families we’re born into. I guess the point I’m making is that in both cases these were things I wanted to explore for myself through the process of writing the book, rather than bulletins aimed at reforming the world. SMP: Howard carried a card stating that he was mute, but of normal intelligence. 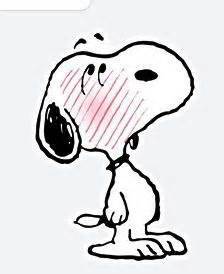 Yet strangers addressed him in a demeaning manner, as if he were retarded or deaf. Is this authentic dialog based on experiences or observations in your own life? DK: The novel isn’t based on anyone, and Howard is an invented character. He’s also not really a poster-boy for the noble victim, since he’s fairly touchy and closed down, with a pretty big chip on his shoulder. I wanted him to be human and have a complete and complicated personality as well as normal intelligence (and sexuality), and I believed he ought to be able to rage against his fate. Even behave badly, as he does at several points in the book. Most of the incidents in the novel were invented, but you don’t have to dig very deeply into the experiences of those who are differently abled to learn that among the biggest beefs are being misunderstood and being talked down to. Of course, part of my method in writing the book was to put myself in Howard’s shoes and imagine the ways I might handle such humiliating situations—both well and poorly. So I did look at speech therapy of that era, but not as much as I looked at traumatic brain injury and recovery and their relation to language pathology. But by far the most unexpected research that I did had to do with theories of consciousness, since I was interested in whether it was even valid to compose a first-person narration by someone who could not technically compose such a narration himself. In the end, I solved this problem by realizing that even if Howard doesn’t have sentences per se, he has ideas and emotions and thoughts and a full inner life, as we all do. So the novel is a record of that inner life, rather than a point-for-point readout of his mind at work. Of course, this is true of any first-person narrative: we don’t think in sentences—at least I don’t—so in that sense a sentence is simply the convention we use to describe the far more rich and complicated experience we call consciousness. Please come back next week for Part II, and read King’s discussion of his writing routines, current projects, and advice to writers like myself. We hope you join us for King’s reading at The College of Saint Rose, Neil Hellman Library, 392 Western Ave., Albany, at 7:30 PM. 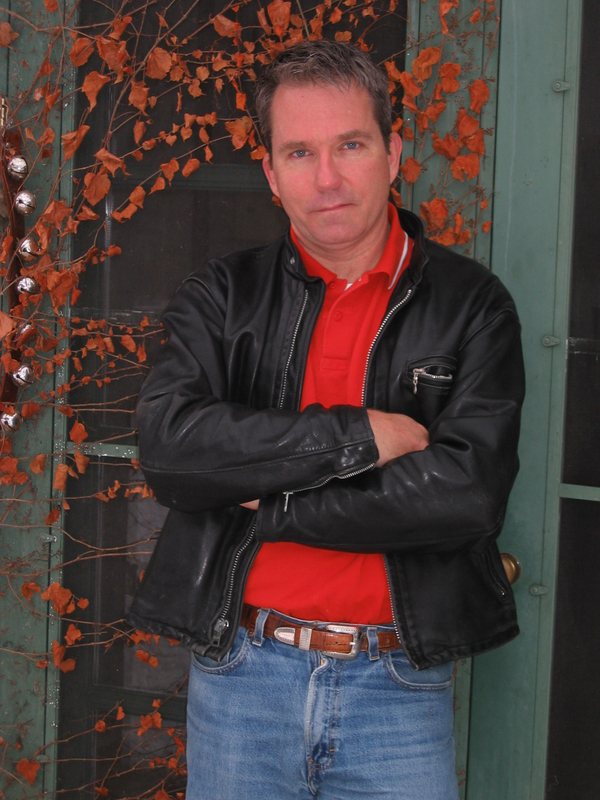 Categories: literature, Writing | Tags: "The Ha Ha", author, Dave King, Frequency North: The Visiting Writers Series, The College of Saint Rose | Permalink.